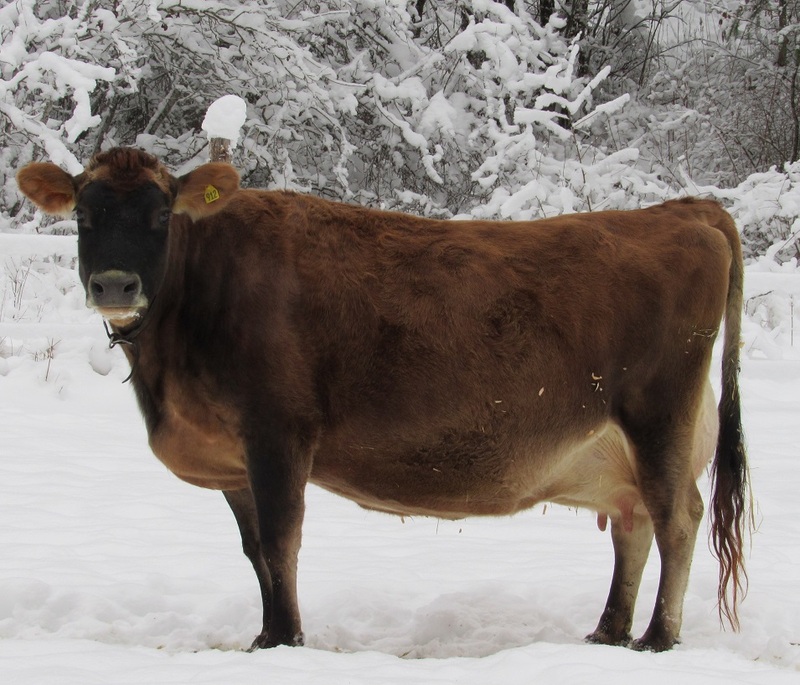 Sad story...1800 cows killed in blizzard. I saw that. Just broke my heart for the cattle and their people. That on top of the floods that killed so many just horrible. This doesn't make sense to me... I can understand the frustrations of milking in freezing or windy weather, but dead cows? I can understand why they died. Dairy cows open to weather like that doesn’t work. Would be a losing battle trying to throw up wind breaks for that many cattle in a short period of time. That’s awful! I can just imagine their hearts sinking when they saw all those dead cows. I know how it feels to loose a bunch of chickens... but cows? That’d be so hard!! The ones I read showed dead dairy cows in huge open lots - zero protection. They said the cows died of injuries from crowding and weather exposure. 80 mph wind with those temps will bring temps that kill on the edge dairy cows who then are colder from not eating for 24 hours. The above link has a video. My husband's driven by those farms before, he was pretty horrified by them (even in the summer months). I get so frustrated that this is where our overabundance of milk is produced, pushing small farmers out. Wow. Sorry, I know it's a tragedy, but it's a preventable one. I just read an article... maybe it was posted here? Anyway, it pointed out that in those temps, with wind, cows can still die of starvation and hypothermia even with full rumens. It's the quality of the hay/ feed etc. Just throwing out untested hay and a protein tub isn't always enough, because they're lacking TDN. Talking about beef cattle. I'd imagine up there... cattle without shelter is asking for that kind of disaster. Shame. Especially dairy cattle, who have less fat covering than beef cattle to begin with. Another random thought... that big a loss in dairy cattle might bring the prices back up a little. Did you guys see the catastrophe in Australia? THAT was horrible, and not preventable. A quick peak on Facebook shows cows and their owners struggling all across the States. People aren't used to the temperatures they've been getting and the cows are going down fast. I've probably seen more cow down posts in the last week than any other time - and none of them look to be linked to calving which is usually the main cause, the cows are just going down. What happened in Aus was also exposure. 11 days of pouring rain, howling wind and the bare dirt after drought turning into bog. Being the middle of summer didn't help. Some of the cattle were just holding on with drought feed, they had no reserves. Even the ones that had been able to be maintained in good body weight lost at least 50% of their weight in a week. Those trying to rescue them say they seem to have given up, I'd guess well into ketosis. The current estimate is half a million cattle. Won't be a drop in the bucket here. Yakima Co. has 100,000+ dairy cows in milk in that county alone. Edit to add: Considering the average dairy has 30% turnover or higher, that's 30,000+ cows a year that are culled. 1,800 won't change that figure much. Honestly, the problems in AUS, if large enough, will impact our milk market more, as a very high % of WA state milk is for export. We produce a huge amount of excess milk (compared to other parts of the US). I don't think it will affect your milk market. Unless one of those farms had a house cow, 100% of those cattle were beef cattle. It may impact the prices for cull dairy cows if it leads to a shortage of export hamburger to the US market. Yeah, that could be a very real problem. Culling of dairy cattle is at an all-time high right now. Farmers looking for any way to get a little money. I saw recently that the AUS problems were affecting the wool and lamb (frozen meat in storage) prices, as they're flooding our market. The drought will have led to offloading stock wherever possible all over Aus. However, the subsequent flooding in the north just nuked the northern beef industry. There will be areas bigger than Texas that don't have a cow left standing. Half a million cattle just gone, that's the breeders for the next generation along with the ones destined for market. We won't be exporting from those areas for years now. Those areas generally don't carry sheep, so the wool and lamb market will be more steady, but if the drought continues in the sheep areas we will run out of breeders in the next year or so too. It's not a good time to be a farmer on the mainland of Aus. Ouch, I didn't realize the flooding there made that much impact. Probably didn't hear much since the magazines I get are dairy-based. Makes the Yakima situation seem tiny in comparison (and it is).